Videogame hardware and software sales in the U.S. declined ten percent in June over the same period in last year, although as usual those numbers don't include the digital market. A billion dollars in sales is nothing to sneeze at but it's still a step down from the same period last year and the second month in a row in which the industry saw its sales decline. The NPD Group reported that total retail sales across hardware, software and accessories added up to $1.03 billion, down ten percent year-over-year. Hardware sales were down nine percent to $366.6 million, while software sales, including PC games, hit $508.9 million, a drop of ten percent. Somewhat surprisingly, PC software sales for the month actually brightened the picture a bit; console-only game sales were $469.9 million, a 12 percent slide. Game accessory sales were down 11 percent to $158.9 million. Industry analyst Doug Creutz said he expected June to be a rough month but added that some big-name releases, like Duke Nukem Forever and Red Faction: Armageddon, performed even worse than anticipated. 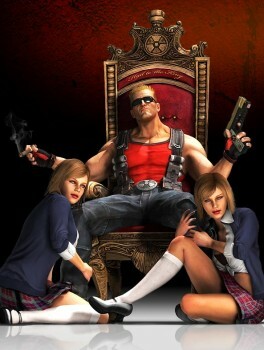 Duke Nukem Forever did manage to hang on to second place on the monthly sales chart; L.A. Noire was the top-selling game for the month while the PS3-exclusive Infamous 2 came in at third. Despite the slump, things continue to look rosy for the Xbox 360, which continued its dominance of the U.S. market. "Xbox 360 maintains its lead in the U.S. console market, selling more units in the U.S. than any other console for 12 of the past 13 months," the NPD said. "Even while console and software sales across the industry have slowed, as often happens in the summer, Xbox 360 continues growing, staying on track to have the biggest year in Xbox history in the sixth year of its lifecycle."